Since 2007, I have been an avid fan of the FIFA franchise. I have almost religiously purchased and pre-ordered each year’s iteration, and can honestly say that I have had had many fantastic experiences with FIFA. However, there is no denying that over the past few years, the FIFA games have been on a steady decline. While I consider myself a very good FIFA player (World Class, Div 1 in UT & Seasons), being good at FIFA always felt a little like receiving a good grade on a standardized test like the SAT, where one is constantly trying to find little hacks to beat an inherently broken system than isn’t applicable in the grand scheme of its own perceived influence. The release of FIFA 15 was a stark wakeup call to my view of the franchise’s fidelity, where the studio feels it is a better idea to come up with a new system every few years because it doesn’t want to spend time fixing the old one in fear of being labeled “consistent”, only to result with new and often worse issues (<-Goalkeeper AI). As such, I found myself compelled to try the game I had belittled so much during the past glory years of FIFA, that of course being Pro Evolution Soccer 2015 on the PS4. At first glance Pro Evo is everything FIFA isn’t and is admittedly rough around the edges. Hearing Mario Gotze try to speak English in their new Ad was more painful than hearing Selena Gomez try to rhyme “hear” and “care” in her latest release, and playing a game in the renowned “KONAMI Stadium” against “Man Blue” was something I didn’t have to deal with ever since my mother insisted on buying off brand Lucky Charms and Cheerios. The lack of licensing in PES was something a little hard to initially get used to. Animations are stiff, textures are a little flat, and Arjen Robben’s glorious bald head reflects more right than polished aluminum. After completing the download and having to update the PS4’s software, I set off and jumped right into a game. 2 minutes of running around the field like 11 Bambis, realizing that the controls were vastly different quickly forced me to the menu searching for a control layout called “FIFA style” (“type 2” for those wondering). Following the adjustment of controls, figuring out that the skip replay button is mapped to “options” (hallelujah, no more accidentally passing when trying to skip), and trying to figure out the strange but intriguing corner and free kick system, I was hooked. Playing two consecutive games which ended as 0-0 draws was just and absolute joy, even though no one scored. Immediately, I realized that the focus of this game was so remarkably different from FIFA, and it was “love at first sight” in the way FIFA never was. Playing FIFA 15 for the first time felt a lot more about trying to score a goal to get a reaction out of the realistic yet still painfully familiar crowd, and try out the new celebration where Diego Costa gallops over to the corner flag like a horse who’s been shot and tries to kick it in the jubilation of having just scored a screamer from 40 yards out that went through the gap between Joe Hart’s legs as if he’s an amateur…… My focus when playing PES seemed to unconsciously shift towards trying to create room in midfield, keeping possession, and looking for a gap in the defense of the AI. The amount of space feels so much larger than FIFA’s crowded midfield, and is well balanced with intelligent AI that closes gaps in its defense and seems a lot more apt both defensively and offensively than FIFA’s AI. I found myself relying less on sprinting and a lot more on close control and tactical prowess, a luxury I could hardly afford in FIFA. The AI of my fellow teammates was also very good. Players moved into open spaces, and kept moving around to try to find a gap where I had enough time to get them the ball. While they may not look it, the players feel so much more authentic. Arjen Robben runs down the flank with his Dodgy Flapper waving in the wind trying to hypnotize opponents (Shout out to Rog and Davo), Mario Mandzukic acts just as aggressively as his real life counterpart, Ronaldo’s runs make want to punch him in the face just as much as when I watch him irl, and Manuel Neuer has hands he actually knows how to use. What I have quickly learned is that smooth and realistic gameplay is not contingent on a million animations of Timmy Howard attempting to save a ball, and player renders that were taken with 32 cameras to capture every last strand of Olivier Giroud’s 600 pound haircut, and if PES’s gameplay is anything, it is consistently smooth. When comparing major flaws of both franchises, it is clear to see where the priorities of each are focused. 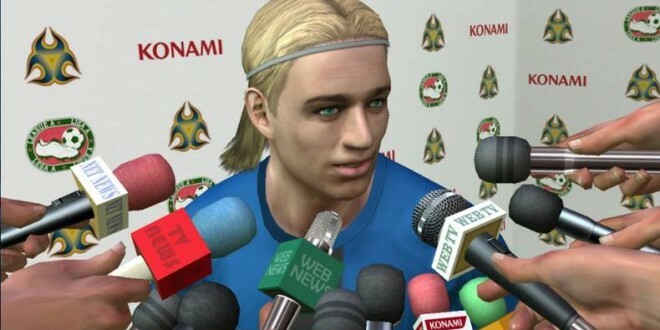 Playing PES was most certainly not the visual experience that FIFA is, but whilst playing PES, I never felt cheated in the same way I did with FIFA. Conceding in FIFA always led to an accusation of keepers being broken, defenders waiting in midfield for a counter when Reus was speeding down the left and, somehow, Torres is the only one back to defend, and Dante pulling off a screamer from 30 yards which would certainly never happen. In PES, conceding always was the fault of my own, and of further inspection of the replays, I was able to pinpoint faults in my style of play, faults which I can work on correcting, and for me, this was the selling point. In all truth, I wanted to like this game, I really did. 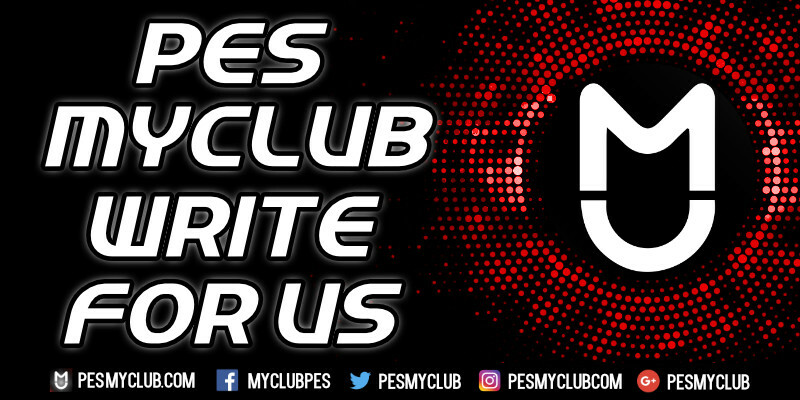 I was so frustrated with FIFA’s annoying gameplay faults that have become more and more prevalent, and PES proved to be the place for my footballing adventure for the 2014-2015 season. This year in football simulation games has forced me to change the way I get my football fix. Having only been with PES for a short amount of time, I cannot say with any certainty that I know the direction it is taking, or that it will be better than FIFA again next year. What I can say is that in the years to come, I will have to be patient and wait for the opinions of others, as well as the impressions of both demos before deciding who deserves my $60 more.